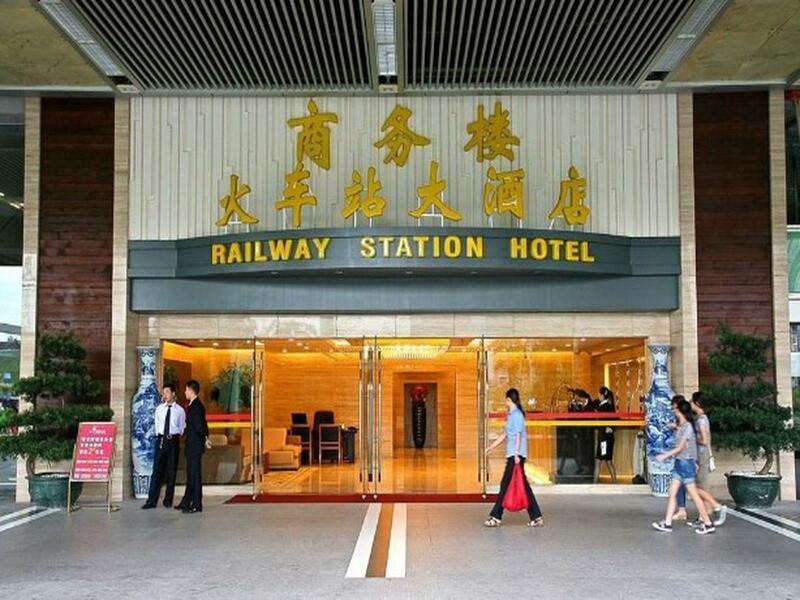 Heeft u een vraag voor Shenzhen Railway Station Hotel? Shenzhen Railway Station Hotel is gelegen in Luohu District in Shenzhen en een uitstekende keuze voor een ontspannen verblijf. Het hotel ligt slechts 7KM van het stadscentrum: lokale bezienswaardigheden zijn dus snel te bereiken. Dankzij de praktische locatie liggen alle belangrijke trekpleisters in de buurt van het hotel. De faciliteiten en diensten, geboden door het Shenzhen Railway Station Hotel, garanderen een plezierig verblijf voor gasten. Enkele voorbeelden van faciliteiten die dit hotel biedt zijn 24-uur roomservice, gratis wi-fi in alle kamers, 24-uur beveiliging, 24-uur receptie, snel in- en uitchecken. Hotelkamers zijn zorgvuldig ingericht om het hoogste niveau van comfort te bereiken, met plasma tv, internet (draadloos), draadloos internet (gratis), rookvrije kamers, airconditioning in iedere kamer. Daarnaast garanderen de talrijke recreatieve mogelijkheden dat u zich tijdens uw verblijf kunt vermaken in het hotel. Ontdek een boeiende mix van professionele dienstverlening en een breed scala aan faciliteiten in het Shenzhen Railway Station Hotel. The location of the hotel is perfect, is above the subway station and next to the train station. There are many food stores in the subway station. The hotel is clean and the staff is friendly. Breakfast is bad, but I also had little expectation. Keep in mind: because it's a large train and subway station and crossing borders (between China mainland and Hong Kong) there are many people hanging around in this area: travelers and stragglers. Some just sleep outside on the ground. Great Hotel and would recommend to everyone. Pros: Perfect location just above Shenzen Railways Station hence no hassle getting on the hotel after exiting the trains. Just adjacent Lohou Shopping Complex and Lohou port going to Hongkong... Easy to move around Shenzhen at the Metro Station below the hotel. Reasonably priced.. comes with a buffet breakfast... Cons: weird transparent bathroom., for the West side building of this hotel it's a bit of a walk from the check in front desk counter then you are led on the 3rd floor then walk along an alley of spa and hair/ beauty salons to connect to another building where the rooms are situated. 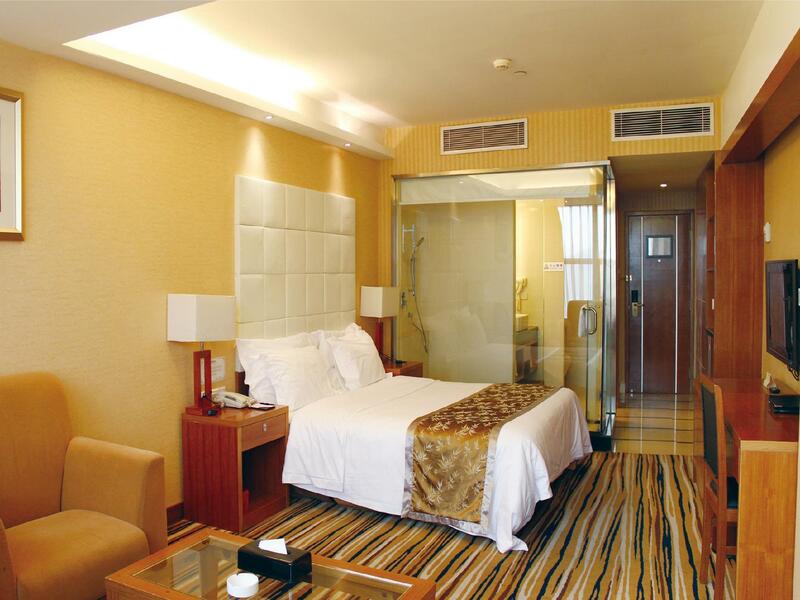 Nevertheless the rooms are clean and also well kept. just located above mrt station of line 1. exit A, B or C of Luohu station. Staff 's face always look not patient to their guest. But service still ok. Location really convenience, beside is Shenzhen Railway Station. This hotel location is very good if you are travelling from or to hong kong, but the hotel is very old, dusty, and a lot of mosquitoes in the room. Can not sleep because of the mosquitoes biting us along the night. And in the morning at 9am the construction start working. Very very bad experience staying at this hotel. Stayed this hotel 2x already. I like it because it is affordable and near the Louhu Border which opens around 6:30am going to hongkong. 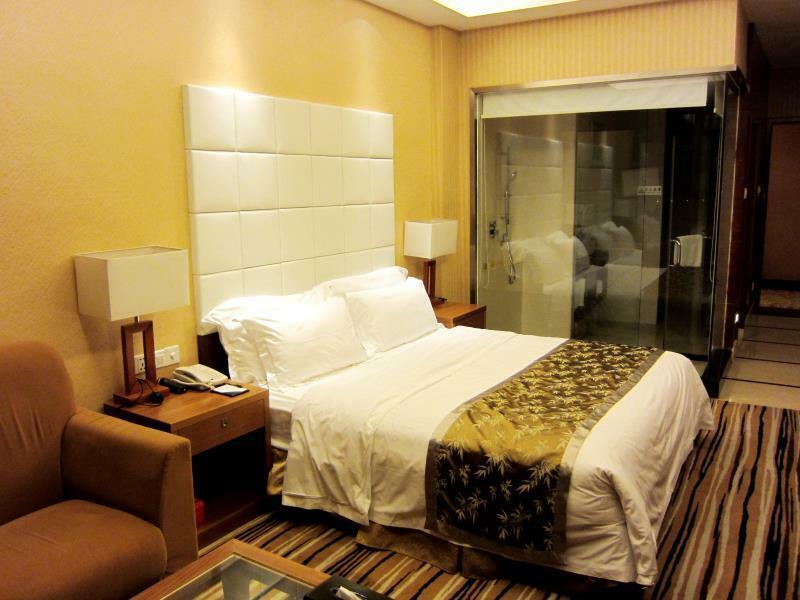 It's a good place to stay, especially if you're going to HK airport to catch a plane. I would recommend this place and probably stay here again in the future! Good value for the money. Very convenient, next to Luohu Shopping Center and Shenzhen railway Station and easy access to cross over into Hong Kong. Rooms are clean and roomy. Breakfast is OK. Staff is helpful despite speaking little English. The hotel room is very clean and the location is excellent. It is good location and located very near to the border. I have been locked safe box than call service,fast response than fast fixed it.Breakfast to be improved.Bathroom flushing water leakage must fixed it.It is very good to extend to 14:00 check out.Overall is good & quality service,reasonable price. i was stay in this hotel for 1 night, i think this hotel is budget hotel with best location near of metro shenzhen (luoho station), bus terminal, immigration, shop centre, but little bit to noisy due to near of station. staff little bit could speaking english, and if their not understand what are you say, please using body langauge 😌 for the hotel facilities, i think this is very enough with air conditioning, towel, hair dryer, and etc. the rooms so big from my expectation and clean. this hotel really impress me. Always went to another hotel in shenzhen, near luohu, and check this hotel from outside. never give me a good feeling but this time i give it a shot, and was perfect. location is perfect, room condition 10 points, shower perfect, all good, fast internet, there's absolutely nothing that can complain, and Price amazing,. 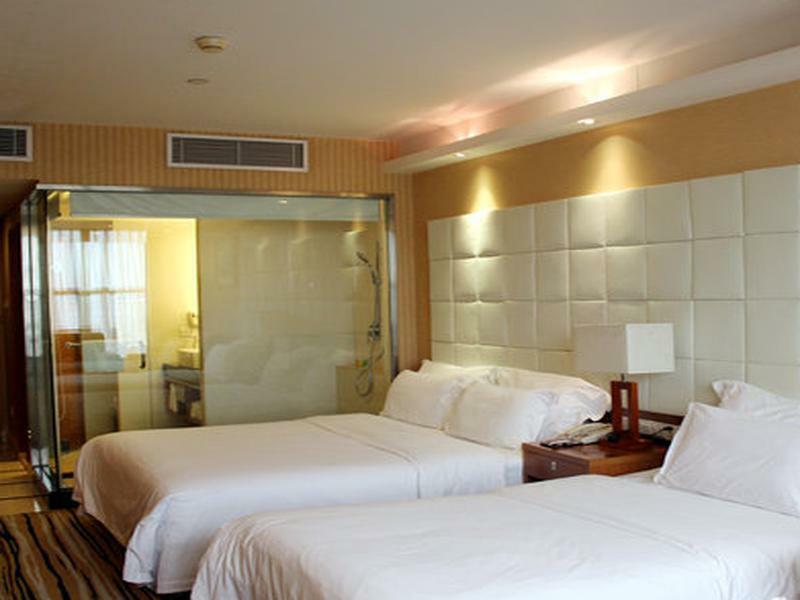 if you go to shenzhen luohu area, trust me this is your hotel, really 4 stars for me. Can't beat the location. To HK, to other parts in China and easy access of transportation to all in Shenzhen's places of interest. Super pleasant. Believe me, its easy to spot the hotel as well. From taxi drop point in LuoHu station, just walk straight and take the elevator. The hotel is within very short walking distance. Late Dinner can take in their Berlin Cafe on 4th floor opens up to 11pm. For lunch just cross the street to Shangrila for all you can eat dim sum @RMB113 + 15% tax. overall, I feel that better find another hotel near Dongmen. Luohu station is just one level down of the hotel. in front of the hotel, you can see shangri-la hotel. this is old hotel. when we want to hv breakfast around 9am, there are no more food available. some of the customer only drink cofee n tea. hotel is not clean. bathroom and room design looks old and not clean. quite ok if you only wanna sleep. I heard that those who go show at the hotel also got the same price I booked from Agoda. station's toilet is horrible. hotel's toilet didnt have spray. luohu station has few beggars. do not ever give them money...and keep your wallet n coins from them...otherwise they will call other beggar to ask the same thing from you. some police in the station might help if you get some difficulties. hotel's reception cannot speak English.